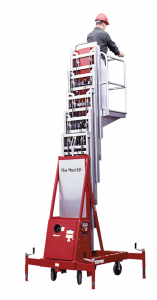 The Maxi Lift® line of push-around lifts are designed for overhead maintenance tasks. 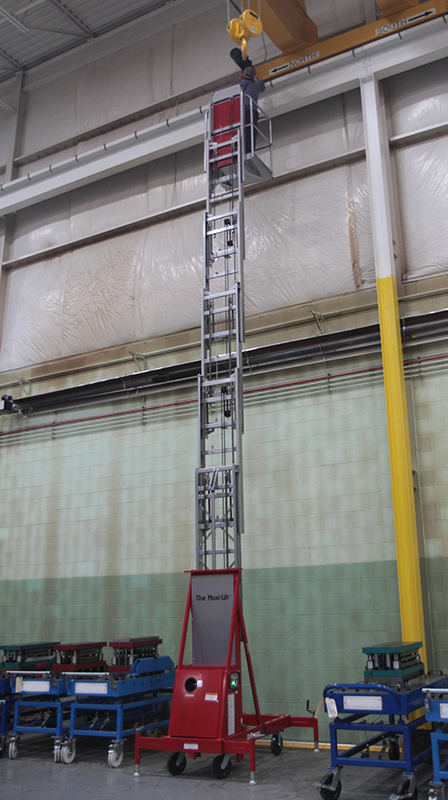 We offer two electro-hydraulic lifts, one with a 25′ platform height that uses outriggers and one at a 17′ height that has no outriggers, for a smaller footprint while in use. The winch model has a 15′ platform height and is not powered, so it’s easy to maintain and use. MODEL ML-15W An economical alternative to electro-hydraulic lifts, the Cotterman® Manual Winch lift is simple to use and maintain. 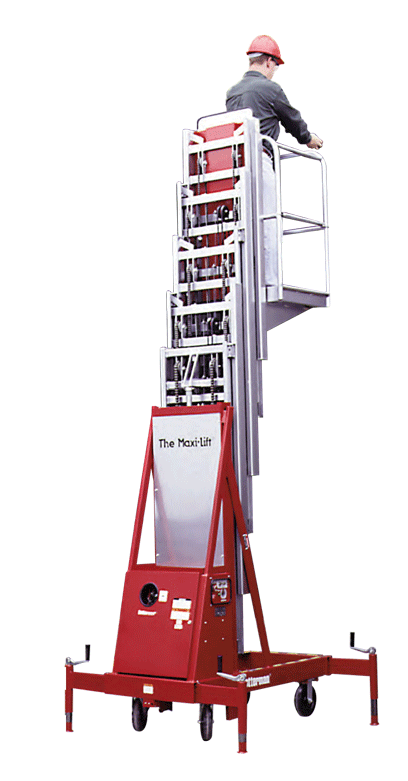 The lift is quickly elevated to the desired working height with a hand winch, then the user climbs a later to the platform. Built-in safety features include a friction brake on the winch and outriggers that can be placed in an X-pattern or rectangular. Load Rating – 300 lbs. Shipping Weight – 820 lbs. MODEL MLN-176BH The outrigger-less Maxi-Lift® has a heavier base to provide stability without the use of outriggers, providing a narrow footprint while n use. Lift is ready to use by activating two floor locks in the front of the base. Load Rating – 400 lbs. Shipping Weight – 1217 lbs. 110 AC outlet in platform. Up/Down controls in platform and base. Emergency Stop button at platform and base. Sliding midrail for platform entry/exit. Fits through standard 30″ doorways. MODEL ML-256BH The ML-256BH is our high-reaching model, designed to work comfortably at 30.5 feet. At this height, outriggers are required. Shipping Weight – 1214 lbs.